Happy Friday! I haven’t done a Favorites post in a while! Here are some things I have been loving lately. Have a great weekend, friends! When this Uni pizza oven arrived on out doorstep a few months ago, I thought my husband was crazy for ordering it. It looked like an Easy Bake Oven, but for pizza. I could only roll my eyes. Plus, our “backyard” is actually a patio and I didn’t exactly see where we were going to put it. But then we made our first pizza and I was eating my words, so to speak! This thing is small but mighty and has made the most perfectly charred and crispy pizzas, just like we make at my parents’ house on Long Island, where there is a real-deal wood-burning pizza oven. The Uuni oven is powered by wood pellets that fill a small compartment in the back of the oven. Once ignited, the oven can heat up to 932 degrees in just 10 minutes and the actual pizzas take 5 minutes to make! The outdoor oven is made by a company called Uuni, and while it is somewhat pricey ($299), believe me when I say that is a whole heck of a lot cheaper than having an actually pizza oven put in your backyard. Pizza might not be the healthiest food on the planet, at least you can control the ingredients when you make it at home. The pizzas themselves also cook very quickly, so this is so fun for summer entertaining- which is just around the corner. Have everyone make his or her own pizza, then pop them in the oven and watch them go! It took me a couple of tries to learn how to use the metal peel and make sure the dough didn’t stick while I was trying to get the pizza in the oven. And the oven is not just for pizzas, either! I plan on trying out roasted veggies, meat, fish, you name it! 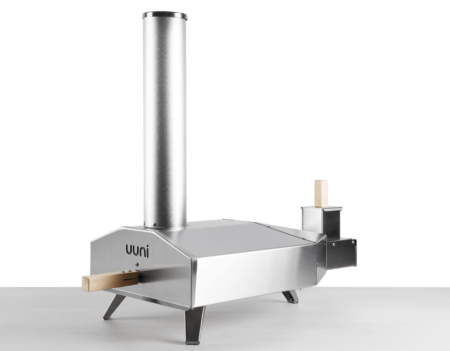 The oven can be purchased on the Uuni website. 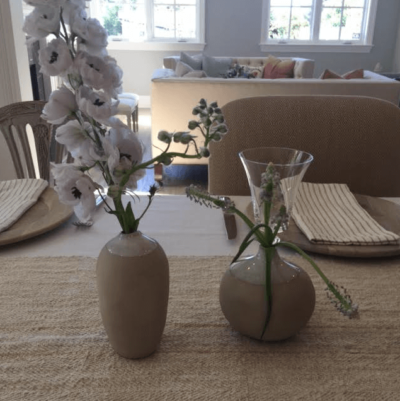 I saw these bud vases at my friend Carrie’s house recently and I asked her where she got them from. It turns out they belonged to the florist who did her flowers, but the florist bought them at Cost Plus World Market. I paid a visit to my local store a couple days later and picked up a bunch of these vases for my Passover table. They are made of ceramic with a stone finish and reactive glaze and are perfect neutral tones that will go with almost any décor. There is also a larger, bowl vase that matches which was perfect for my Passover centerpiece. And the best part is, these vases are only $5 a piece! Check them out online here or see if they carry them at your local World Market! I never seem to tire of cookbooks. There is never-ending inspiration to be had in the kitchen and I have recently received two fantastic cookbooks I would love to share with you. 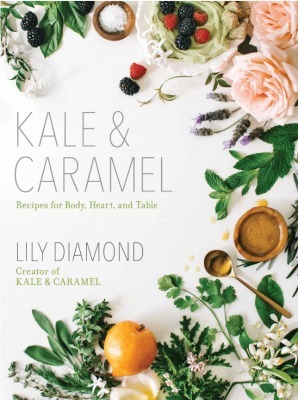 My friend Lily Diamond from the Kale and Caramel blog is getting ready to release her first book and the result is stunning. Lily truly puts her entire soul into the book highlighting the most innovative, beautiful, and unique recipes for not only eating but for beauty as well. The book is organized by flowers and herbs (Lily’s mother was an herbalist and it is in her blood!) which is so fun and different and perfect whenever you find yourself with extra herbs on hand and not sure how to use them up. She also includes beauty recipes, such as lavender oat milk bath and coconut mint salt scrub. The book is out in just a few short days on May 2nd and can be purchased on Amazon! I will be posting a delightful recipe from the book soon. 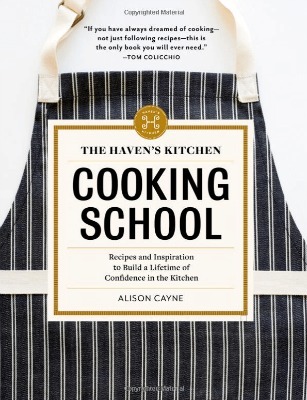 Alison Cayne started Haven’s Kitchen 5 years ago in New York City. It is a recreational cooking school and cafe committed to teaching the joy of cooking with an understanding that our food choices are deeply connected to a larger food economy. Ali and I have have a lot in common! Her book is organized by chapters which center on a key lesson: in the eggs chapter, readers will learn about timing and temperature while poaching, frying, and scrambling; in the soups chapter, they will learn to layer flavors through recipes like Green Curry with Chicken and so on. It’s a great book if you are seeking to create a foundation for your cooking. The book can be purchased on Amazon. Also, for my Los Angeles friends, Alison and I are have a discussion about food, how to become a confident cook, and positive eating. We are hosting a free event at Alchemy Works in DTLA from 5:30 to 7:30 pm on Tuesday, April 25th. Lite bites will be served and I would LOVE to meet you! My friend Aliza is a super talented photographer and food stylist. 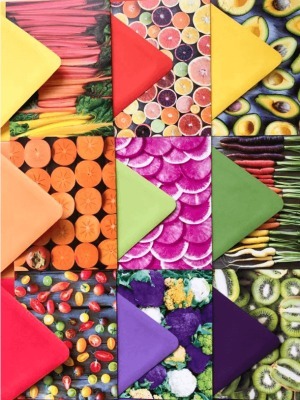 She makes the most absolutely stunning cards out photos she captures of gorgeous produce ranging from persimmons to carrots to cauliflower. I was flipping through them on my Insta stories the other day and so many people were contacting me about them, so here you go! These cards are stunning to share and would make the perfect Mother’s Day gift, whether you are gifting a pack or giving one of them as a card. You can purchase them on her website and they are available as prints, too, which is so fun if you are in need of some wall art- especially in the kitchen! Aliza does a really great job of capturing the true beauty of simple, gorgeous food. Check out her website here. Disclaimer: I received no compensation or free products for any of the above. I just like random things and want to share them with all of you.